There’s a lot going on in a baseball dugout. 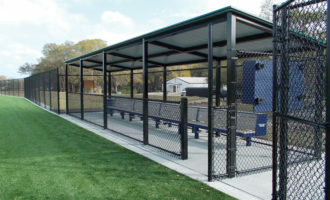 Beacon’s dugout products help you keep it all accessible and organized. 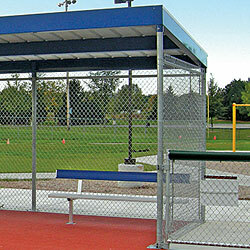 Many attach to the dugout fence, like a ball holder, bat holder, and helmet rack. There’s also shoe and cleat cleaners along with a handy in-fence ball return to help with returning foul balls. 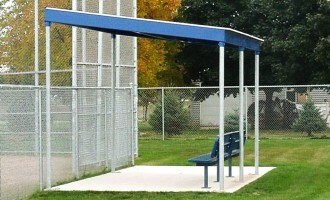 Oh, and you can also find baseball dugout itself here, too! 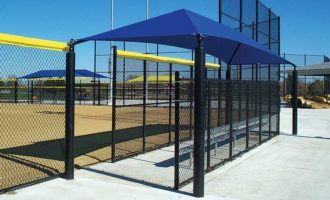 Also consider an over-dugout shade structure if you’re not sure a traditional steel roof dugout and dugout framing is the best way to go. Contact us if you have any dugout questions.